Rhino Slider EVO integrates seamlessly with Rhino Motion. Capture ultra smooth Live Motion and amazingly precise time lapses with a single motor. A built-in 7 hour battery lets you shoot all day. A new, better way to move your slider. Simply turn the wheel to move your camera. The farther you turn, the faster it goes. It's as simple as that. Dock the Controller on the motor and turn the wheel to slide. Use your free hand to pull focus or engage your talent. Shoots often require a variety of tools to tell your story. With Rhino Slider EVO you have the flexibility to change between Carbon Fiber and Stainless Steel Rails. 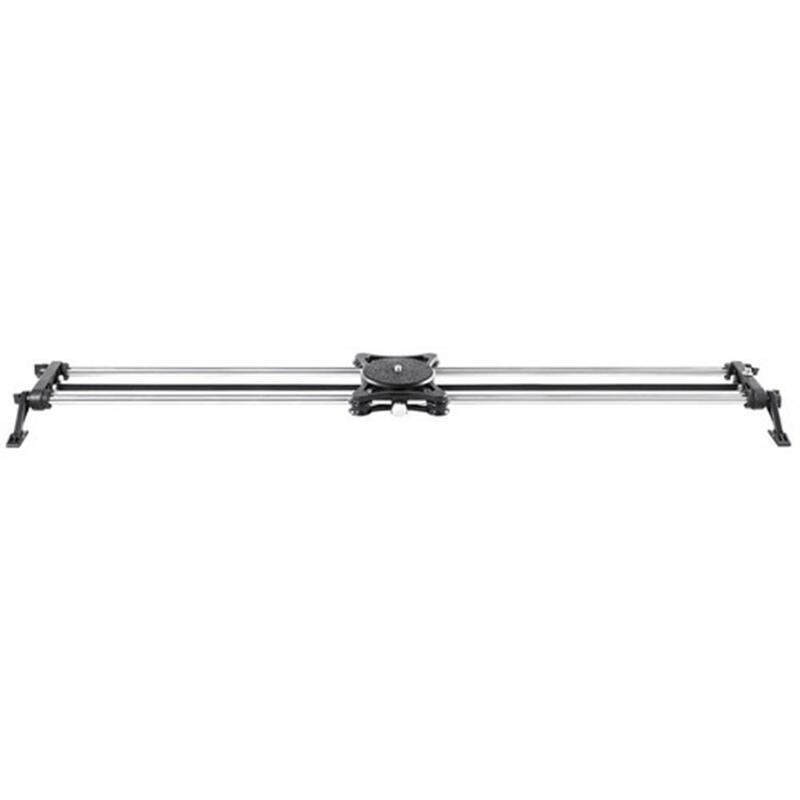 This allows you to easily upgrade your slider to carry more weight or get a longer move without buying an entirely new slider. Choose either a 100lb load capacity or an ultra-lightweight 4lb setup. At the end of the day swap to longer rails for night-time time-lapse. Flush folding all-terrain legs come standard on every Rhino Slider EVO. Be confident in your slider off-tripod and set up your shot faster. The integrated carriage brake allows you to secure the carriage at any place on the rail and only takes a quick turn to engage. Rhino Slider EVO comes standard with a 3/8" stud on the carriage to mount any standard 3/8" flat based ball or fluid head. Below are some of the most popular cameras used on Rhino Slider.